Do you need to send a fax from Gmail? This is the right place! You can be setup in the next few minutes. Here’s what you need to send faxes from Gmail. 1. Gmail account. Virtual email from Google. 2. Online fax number. Virtual phone number for sending and receiving documents. Step 1. 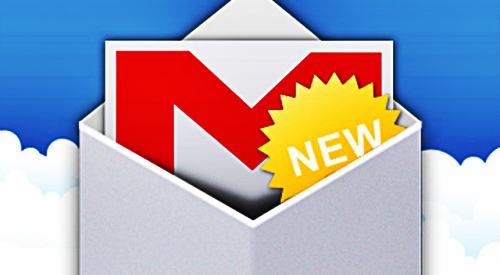 Sign up for an email address with Gmail. Step 2. Select an internet based fax company to process your faxes. RingCentral lets you try it free for 30-days with no commitments. Make sure you enter your gmail account when they ask for an email account. Step 3. Once you are logged into your Gmail account, go ahead and click the Compose Email button over on the top left. Step 5. Add anything you want on the cover sheet within the subject of the email. Then attach whichever document, file or picture you want to send as a fax. You can also type in the body of the email… like this. Step 6. Go ahead and click the Send button and your all set. That’s it! Good enough, your first Google fax is out! Oh, there’s one more thing. You may have heard that you can send or receive faxes for free. That may be possible using two different services, or from letting them put ads on your fax. It just gives off the wrong impression from the very start. Faxing like a real business is only a few bucks a month, especially when you compare it to the cost of having a second phone line, a fax machine, paper, toner and everything else. When a Google fax service comes out that DOES send and receive for free, I will be the first to tell you about it. – Test Drive RingCentral and Fax Free for 30 Days! Great tutorial. Exactly what I was looking for. Thank you for your sharing! 1) How much is the monthly fee to Ring Central? 2) Is there an additional fee of some kind required by Google fax service? 3) Any other “hidden fees”? I would like to have the above info, (as I’m sure everyone else would), before going any further. Anything else without submitting my CC info?? ?